Gift Brazil has been a fantastic adventure. 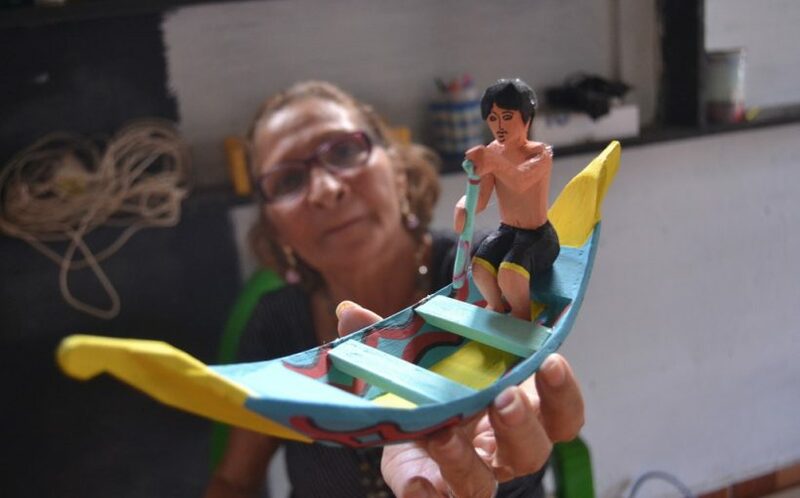 Since December 2013, our Brazilian handicraft promotion and sale project has made it possible to travel to various parts of the country, where I learned a lot about local culture and handicrafts, and several artisans were successful in selling parts through our platform. However, I will put this project into a semi-pause at this point, while focusing on some new opportunities. First of all, I want to say openly that this is not the end of Gift Brazil. This project dwells in my heart, for the transforming power of artisanal production beyond merely decorative utility to be something that really interests me. Gift Brazil has always aimed to sell and promote original handmade products in Brazil to people in distant continents of our country. I wanted to go beyond the ‘made in China’ T-shirt whose print has an image of Christ the Redeemer. 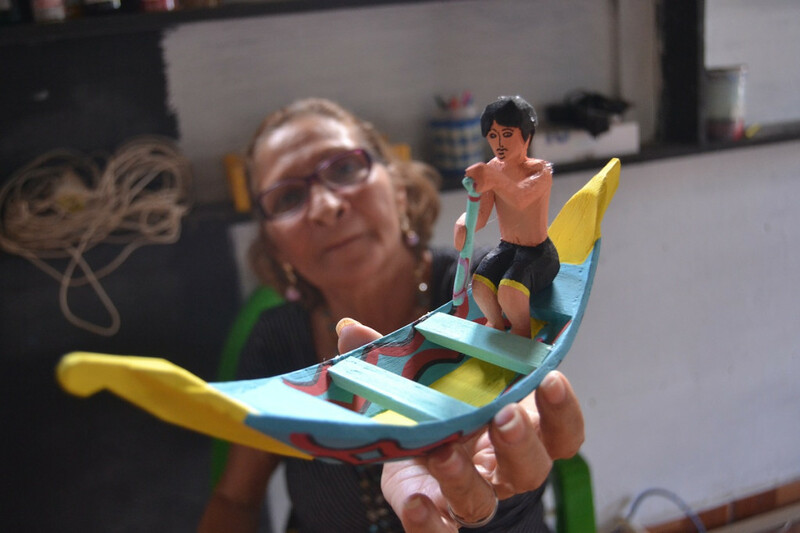 All the pieces I made available were personally selected and I created relationships with artisans from all over Brazil who produced these works. With regard to the artisans we represent, it has been an equally fantastic experience. Nothing could give me more pleasure than hearing one of them telling me that the rent, that the son’s medicine, or that the purchase of the week was paid with money from a job sold through Gift Brazil. 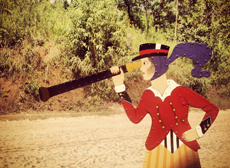 This project has created opportunities for artists in Brazil to sell their work abroad and at the same time allow foreign buyers to buy directly from Brazilian real artisans, with the certainty that they are not being stolen by an airport gift shop whose items possibly nor are they produced here. But this has always been an independent project. I have self-funded technology platform, travel to the localities where artisans live, translation of item descriptions – basically everything. I made this project a reality because I wanted to give these people an opportunity to show their work to the world. Government projects in this area have never been very successful because they have no audience. 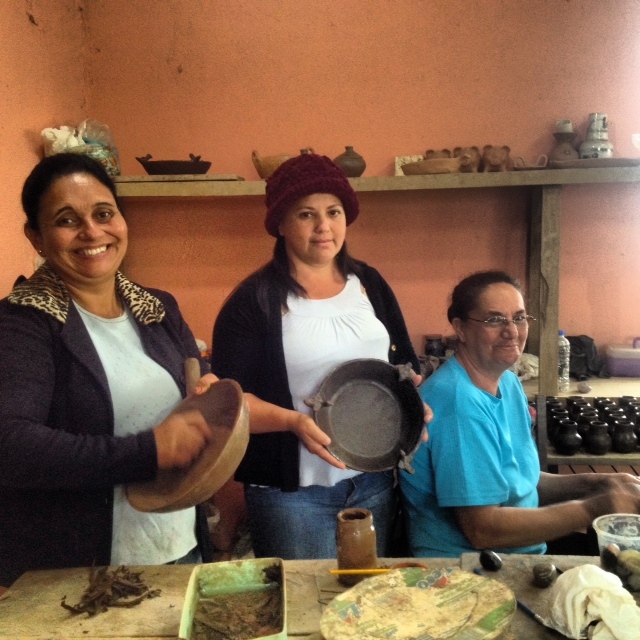 We have certainly created a great interest and a community of people interested in Brazilian crafts. An example of this is the group of more than 15,000 people on Facebook who like what we do and also share our fascination with the hand made in Brazil in other social networks – we know that there are thousands of people who appreciate our work. But to be frank, there has been a great deal of interest, but there have not been enough orders. I am a professional journalist and if I felt that we had enough requests that I could keep, I would dedicate myself to the project entirely, but at the moment, the project has not yet reached a critical mass that would allow me to do that and, at the same time, I must prioritize my time: the eternal dilemma of many entrepreneurs. I clearly realize that in a project like this, there are two variables that lead to success: how many wonderful items can I offer for sale, plus the media coverage I can generate. I worked hard on both and built the site to offer several dozen individual items with many more that are almost ready to be offered as well as mentions in respected media. But it was not enough to give the project that extra push. But I will not close the site. Items listed for sale will remain there and occasionally, I will add more items. But I will spend less time producing material for the site as well as in its promotion. I strongly believe in the concept of Gift Brazil. This site has amalgamated several different technologies at low cost to create a community of thousands of people who love Brazilian crafts. These items are ready to be purchased. All that project really needs is a push from someone with a marketing budget, so if a retailer or investor is interested in talking to me about the project, I’ll be overly willing to listen to ideas. This project is really cool to fail, but I also need to be realistic because I need to pay my bills. Therefore, for the immediate future my attention will be focused on other projects focused on publishing and events, but I will always be attentive to opportunities and partners that can help me market Gift Brazil in a way that makes the project take off in the way it deserves. .